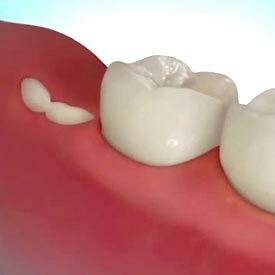 Wisdom teeth are the final set of molars that grow in the back of a person’s mouth. They are technically called ‘the third molars’ because they appear after the second molars have appeared in the mouth. Impacted wisdom teeth are usually removed because of the problems they are causing or because of the problems that may arise if they remain in the mouth. 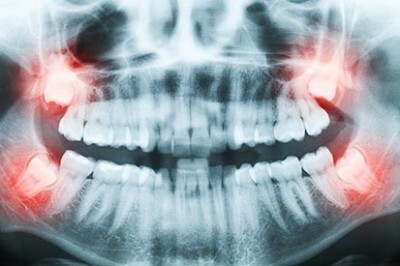 In many cases, damage caused by wisdom teeth is not visible on the surface. Cornerstone Dental will usually take full X-rays of the mouth to see what is going on underneath the gum. This will help them to determine what type of extraction may be required. For all of your wisdom teeth needs in Okotoks we welcome you to book an appointment for a consultation today. We can also discuss your wisdom teeth options with you at your next hygiene and check-up appointment – just ask! We look forward to hearing from you soon. Call Cornerstone Dental at (403) 995-1800 to request your Okotoks Wisdom Teeth Removal consulation today.